We’re in the middle of winter, and it can be a drag. Whether you enjoy the slopes or you love to drink warm hot chocolate while reading a fantasy novel, there is a terpene for you. At True Terpenes, we work to bring you the best terpene strains on the market. Enjoy fantastic flavors and awesome aromas to enhance your life. If you want to “escape” winter, you can enjoy the tropical flavors and aroma of Banana Kush. When enjoyed, this terpene strain will emit smooth banana and other fruit flavors. You will also taste bananas right on through the aftertaste. It’s primarily made up of Limonene (34 percent), Beta Caryophyllene (12 percent), and Myrcene (11 percent). The other terpenes that are in this strain include Alpha Pinene, Beta Pinene, and Fenchol. Consumers report that when they enjoy this potent terpene strain, they experience soothing energy and care-free uplifting. What’s better than feeling soothed and uplifted in the middle of winter? You can purchase Banana Kush for sale online now! Winter can be a bummer sometimes; however, you don’t have to deal with it much longer. Blue cheese is an indica-dominant terpene strain that’s satisfied consumers for more than a decade. It’s moderately potent and offers a delectable taste. Blue cheese is a cross between the hybrid UK Cheese and indica Blueberry. Blue cheese is primarily dominated by Beta Caryophyllene (29 percent), a spicy-sweet terpene. Limonene (12 percent) and Humulene (11 percent) make up the remaining 50 percent of the strain profile to really round out the terpene. The other terpenes in the Blue Cheese strain include Myrcene, Linalool, Alpha Bisabolol, and more, which make up eight percent or less of the remaining terpene profile. For most, Blue Cheese offers an uplifting peaceful state. Blue Cheese is known for inducing a happy couch-lock for consumers. If you’re looking for a day’s end strain to take the edge off, this is the terpene profile for you. As a super popular terpene strain, even in the saturated terpene cookie profile market, the Do-Si-Dos have stuck with consumers — particularly in Portland and Denver. The all-encompassing effects of this strain offer consumers a potent terpene profile that they can enjoy immensely. Do-Si-Dos profile is made up of Beta Caryophyllene (22 percent), Myrcene (17 percent), and many more terpenes at or below 10 percent, including Limonene, Linalool, Humulene, and more. Consumers report an array of effects when they enjoy Do-Si-Dos. It’s an indica-dominant strain, and we do not recommend you give it a try before or during work. The most common effect is an “instant chill” mode that consumers report being dreamy and/or euphoric. For some, Do-Si-Dos offers uplifting happiness, if you’re not ready to call it a night just yet. As a popular terpene strain profile, it’s consistently tied to Larry Bird, a prior forward with the Boston Celtics in the NBA and, as of this post, current president of the Indiana Pacers. Gelato #33 and Bird’s jersey number are the same. As for the terpene, itself, Gelato is held in high esteem. It offers consumers a calm pleasure, stemming from Sunset Sherbet and Mint Girl Scout Cookies. The flavor of Gelato is one of the most sought after in the industry. Gelato includes the terpenes Beta Caryophyllene (24 percent), Limonene (21 percent), Myrcene (12 percent), and Linalool (10 percent) as the primary contributors. Other terpenes in the strain profile include Humulene, Alpha Pinene, Fenchol, and more. Enhanced attitude is a primary effect of Gelato. Consumers report that Gelato helps them feel a calm pleasure about life. It touts an above average potency and subtle flavors and aromas that will tease your senses. Gelato kicks in quite quickly, and it’s a great terpene to enjoy while winter is raging on outside. As a popular west coast indica, Grandaddy Purple reigns supreme for those looking for an epic purple strain. It’s a cross between Big Bud and Purple Urkle. What’s more, this terpene train lives up to the Bay Area cultivations, and it’s still a sought-after product 15 years post introduction to the market. When you consume Grandaddy Purple, you enjoy Linalool (40 percent), Humulene (35 percent), and Myrcene (17 percent) for the largest part of the terpene profile. Other terpenes include Beta Caryophyllene, Alpha Pinene, and others comprise seven percent or less of the remaining profile. Grandaddy Purple holds its reputation as a west coast indica and packs a punch. Consumers report the terpene strain offering an initial rush followed by immense rolling, soothing waves. Some have even noted a euphoric feeling throughout their experience. As a potent terpene strain, Grandaddy Purple is a great product to wind down after a long day during winter. It can be slightly overwhelming to see all of the terpenes available online. You may even wonder how you’re going to find one that you actually enjoy. For most, it’s best to find two or three that offer the effect and experience you’re seeking. Whether you want to enjoy a calm, happy focus or an unbreakable couch-lock, you can find the terpene for you. Each profile is curated to offer consumers an enjoyable experience. 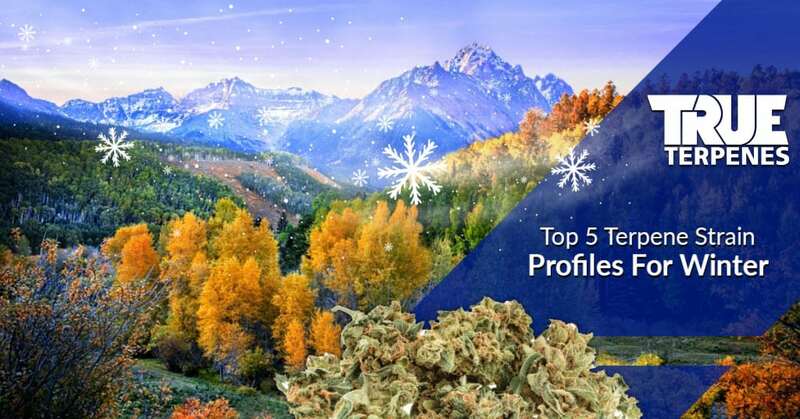 The profiles are high-quality and analytically curated to reflect their plant namesakes. Our terpenes are certified natural, organic, non-GMO, and food-grade. We steam distill our sources to get the purest potency possible. Shop terpenes for sale online now!